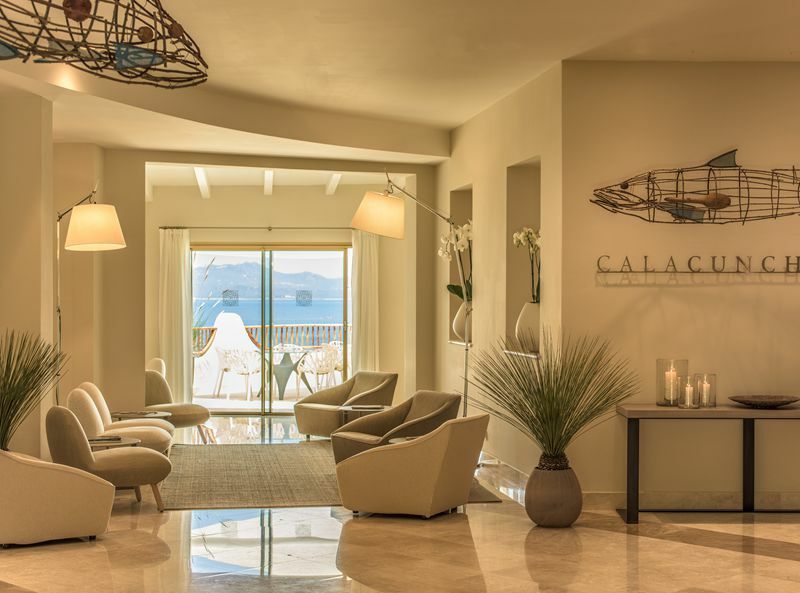 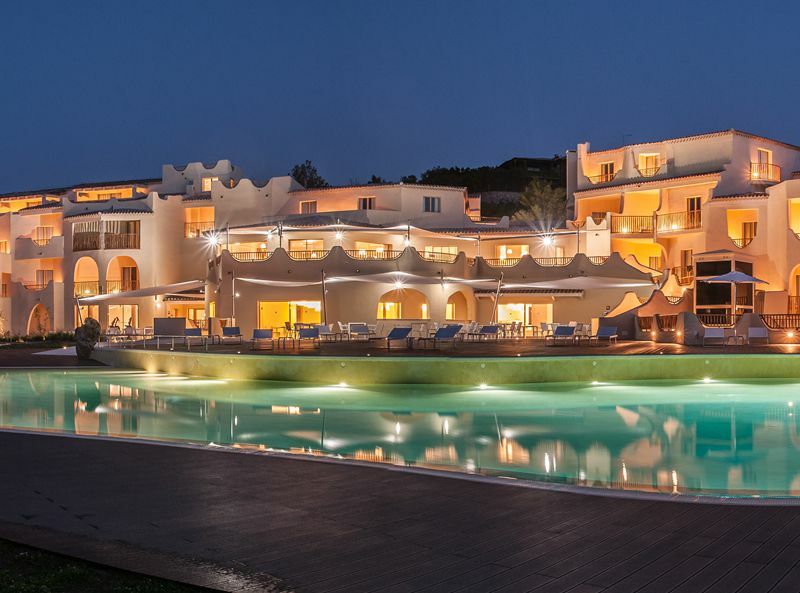 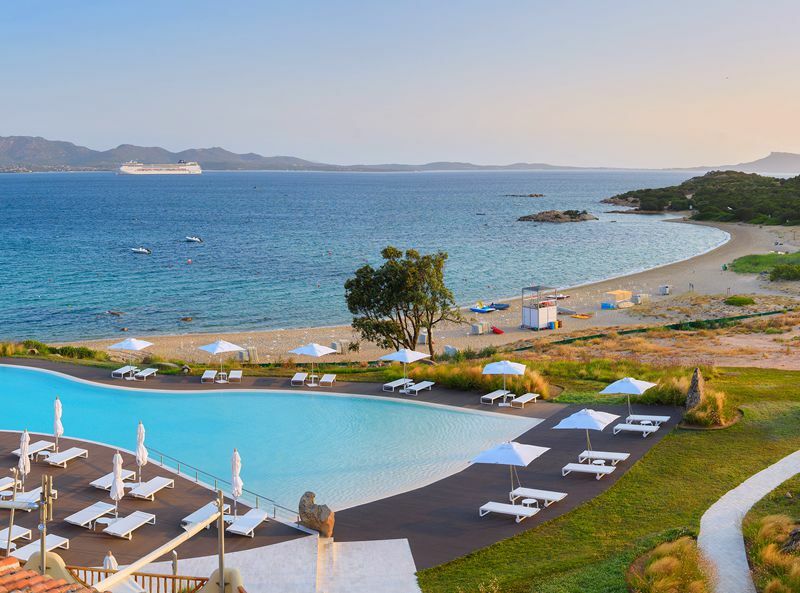 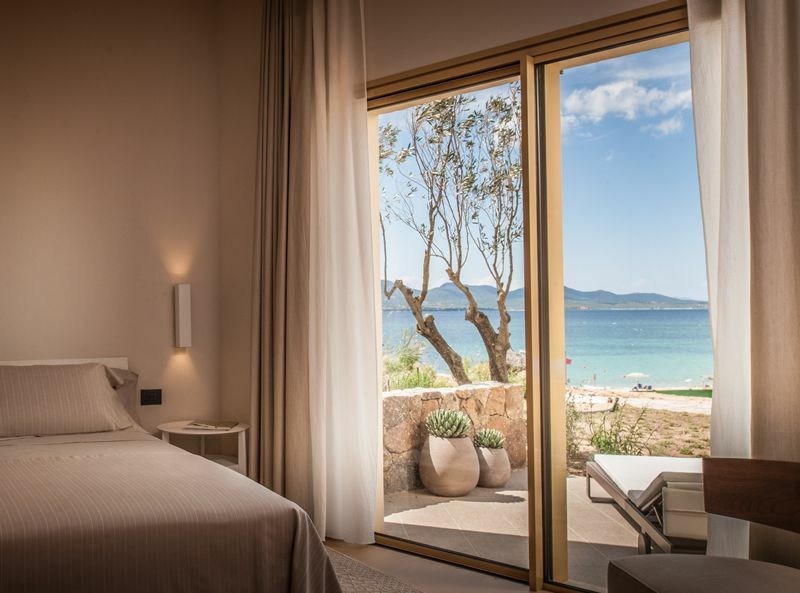 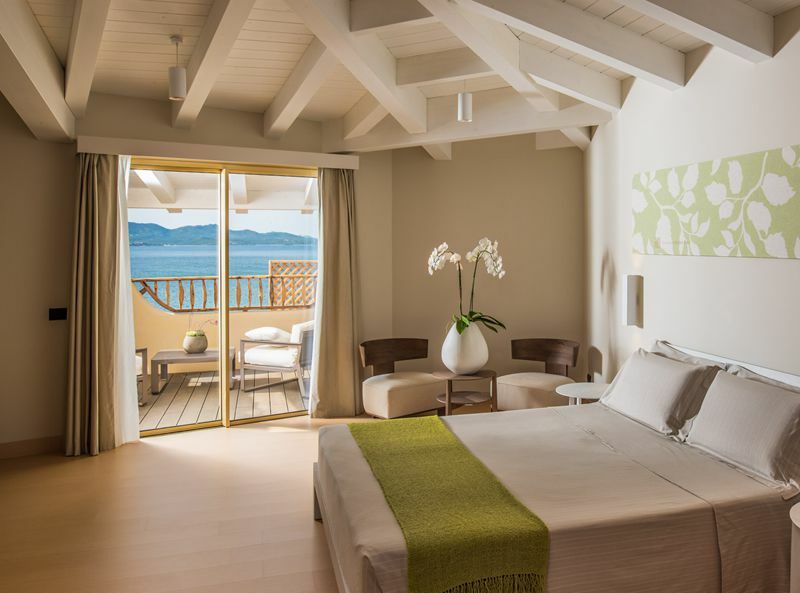 Hotel CalaCuncheddi is a charming 4-star superior boutique hotel located in Capo Ceraso in northern Sardinia. 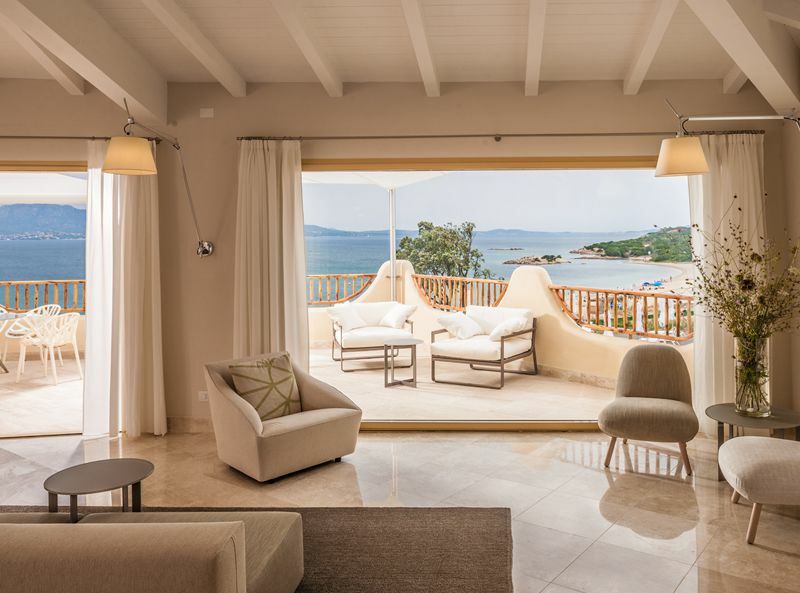 It enjoys a secluded location by the beach ensuring guests can enjoy a peaceful ambience and can take in the truly beautiful natural surroundings and vistas. 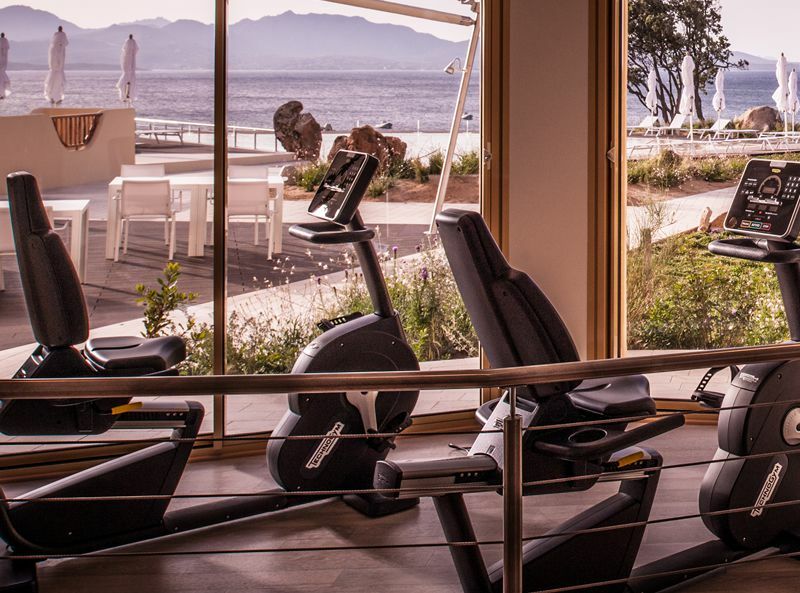 The hotel features an outdoor pool, an indulgent spa centre and fitness facilities. 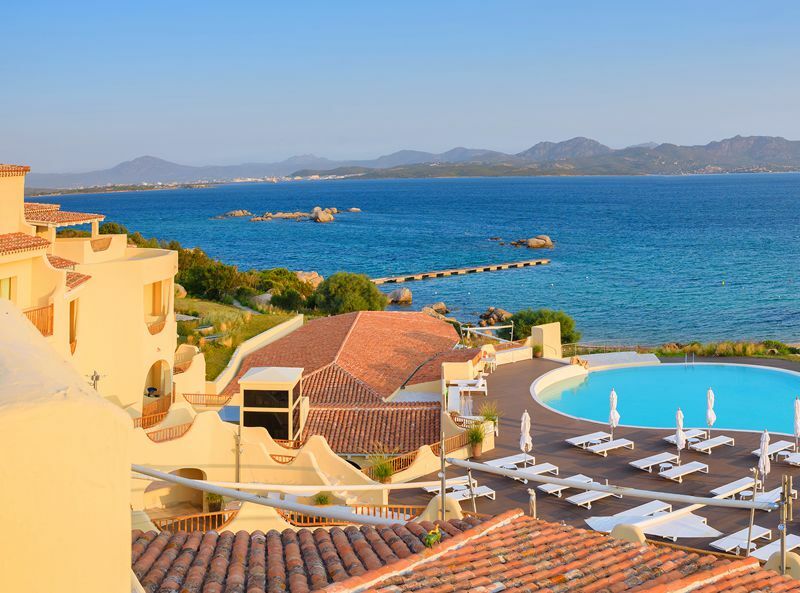 There are 2 restaurants here, one serving lavish buffets for breakfast and lunch and the other sumptuous à la carte Sardinian meals highlighting the island’s pure flavours and ingredients for lunch and dinner. 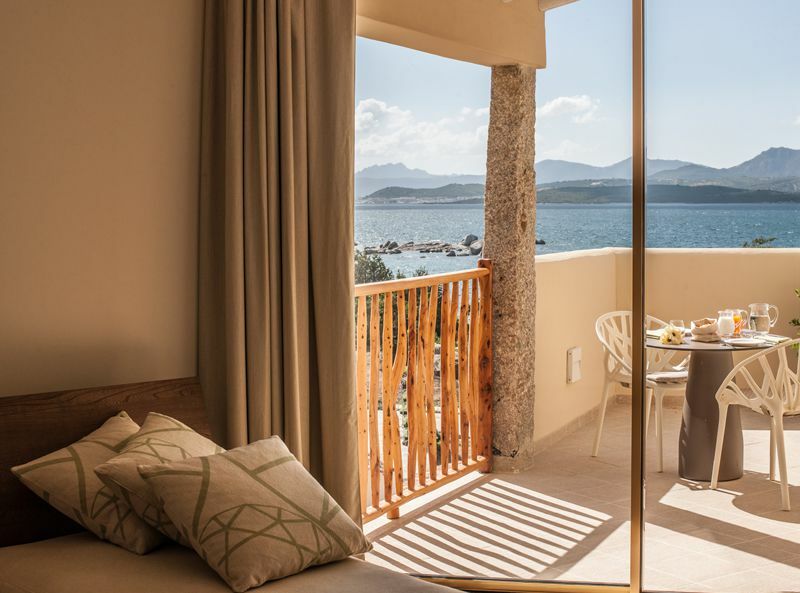 Given the hotel’s secluded location, it is recommended that guests hire a car should they want to explore the local area and free hotel parking is an added benefit. 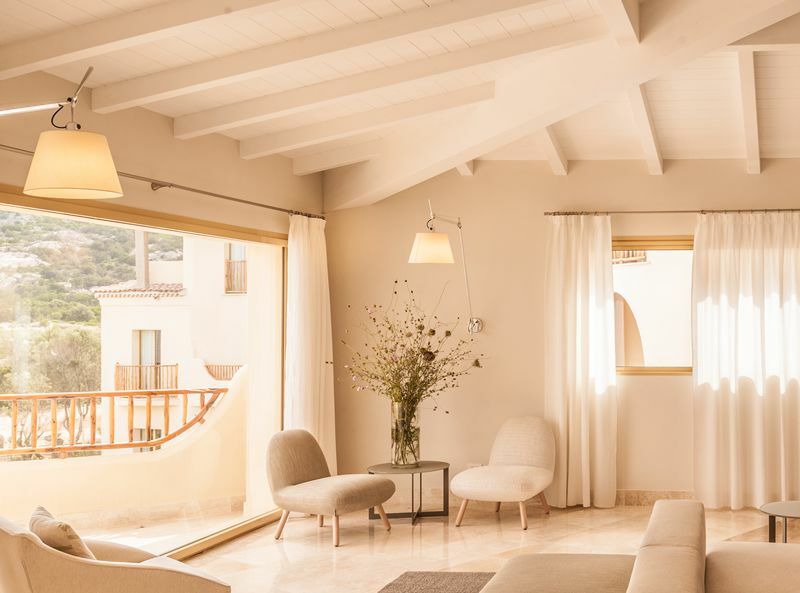 This is a wonderful choice of hotel for couples looking to escape it all and enjoy the simplicity of nature, beautiful Sardinian beaches and fine Sardinian cuisine. 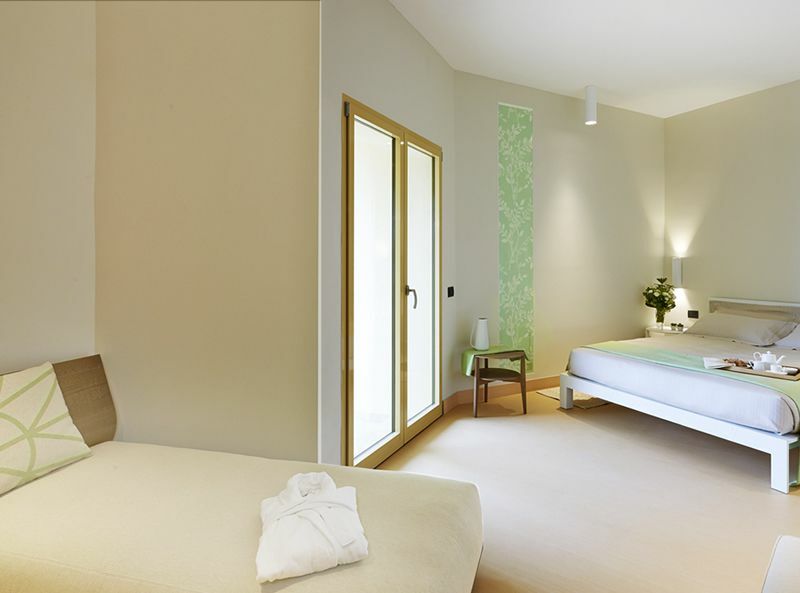 Baby cot: infant 0/2.99 y.o. 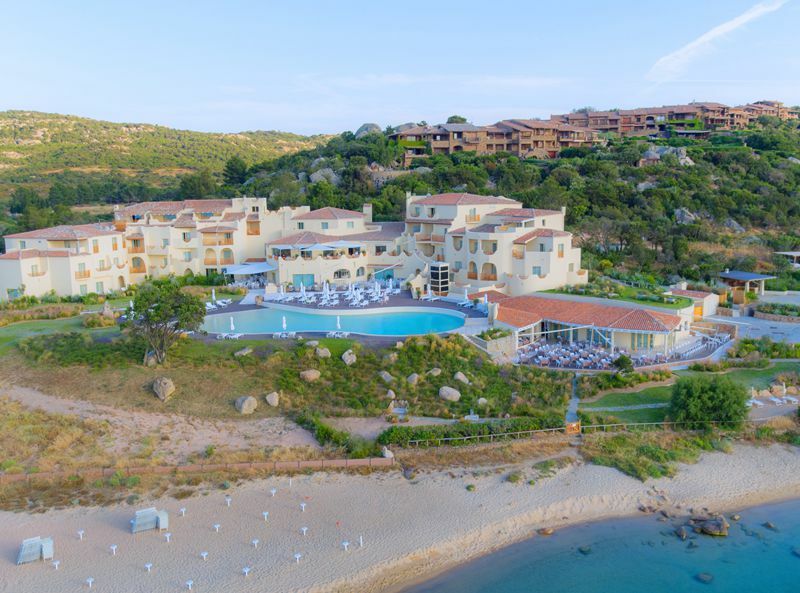 € 40,00 from 19/04 to 26/07 and from 23/08 to 19/10; € 50,00 from 26/07 to 02/08 and from 16/08 to 23/08; € 60,00 per night from 02/08 to 16/08. 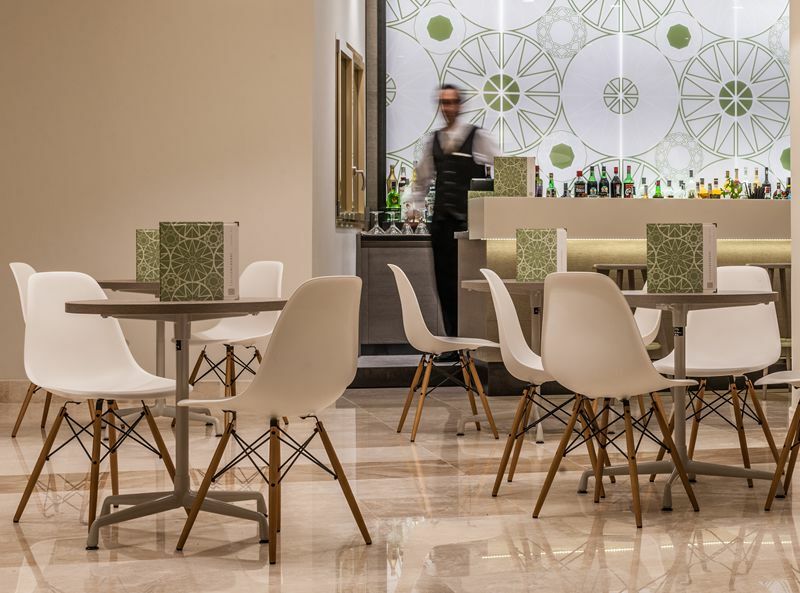 Payable Locally Direct to Hotel.